"Magliozzi" redirects here. For the fictional Mafia family, see Family Values (comics). Thomas Louis "Tom" Magliozzi (June 28, 1937 – November 3, 2014) and his brother Raymond Francis "Ray" Magliozzi (born March 30, 1949) were the co-hosts of NPR's weekly radio show Car Talk, where they were known as "Click and Clack, the Tappet Brothers". Their show was honored with a Peabody Award in 1992. Tom died on November 3, 2014 aged 77 in Belmont, Massachusetts due to complications from Alzheimer's disease. Tom Magliozzi was born in East Cambridge, Massachusetts. His education was entirely in Cambridge: Gannett School, Wellington School, Cambridge Rindge and Latin School, and the Massachusetts Institute of Technology. While at MIT, he participated in Air Force ROTC, and subsequently spent six months in the Army Reserve. Ray Magliozzi was born in Cambridge, Massachusetts; he also graduated from MIT. Tom earned a degree from the MIT Sloan School of Management. He worked for Sylvania's Semiconductor Division in Woburn, Massachusetts and then for the Foxboro Company while earning his MBA from Northeastern University and teaching part-time at local universities. He grew tired of his job and quit, spending the next year doing odd jobs such as painting for other tenants in his apartment building. Ray taught science in Bennington, Vermont for a few years before returning to Cambridge in 1973. He and Tom then opened a do-it-yourself repair shop named Hacker's Haven. The shop rented space and equipment to people who were trying to fix their own cars, but it was not profitable. Nevertheless, the two enjoyed the experience and were invited in 1977 to be part of a panel of automotive experts on Boston's National Public Radio affiliate WBUR-FM. Subsequently, the brothers converted the shop into a standard auto-repair shop named the Good News Garage. In addition to the local radio show, Tom worked a day or two each week at the Technology Consulting Group run by a former MIT classmate in Boston, and he still taught at local universities. Tom believed that college professors make lots of money without working, and that drove him to spend nine years working while getting his doctorate in Marketing from Boston University School of Management. After being a professor for eight years, he decided that he disliked teaching and quit. In January 1987, Susan Stamberg of Weekend Edition on NPR asked the two brothers to contribute weekly to her program. Nine months later, Car Talk premiered as an independent NPR program. In 1992, Tom and Ray won a Peabody Award for Car Talk for "distinguished achievement and meritorious public service". Tom and Ray continued to work in their repair garage while they produced Car Talk. On June 8, 2012, it was announced that Car Talk would stop producing new episodes in September 2012, though NPR would continue airing reruns of the show. Producer Doug Berman said that Tom and Ray "changed public broadcasting forever" because the brothers "showed that real people are far more interesting than canned radio announcers." "The guys are culturally right up there with Mark Twain and the Marx Brothers." In addition to the radio show, Tom wrote for CarTalk.com and ran his own consulting business. In 1999, the brothers returned to MIT to deliver a joint commencement speech to the graduates. Tom and Ray both appeared in the Pixar films Cars (2006) and Cars 3 (2017). (Tom's role in the third film was accomplished through archival recordings, as it was produced after his death.) They played the owners of Rust-eze who discovered Lightning McQueen and gave him his first big break. Tom appeared as a 1963 Dodge Dart convertible, a reference to a car that he owned for many years and often mentioned on Car Talk. Ray appeared as a 1964 Dodge A100 van. In both films, they admonished: "Don't drive like my brother", the catchphrase from the close of their radio show. The Magliozzi brothers also appeared in the PBS Kids show Arthur episode called "Pick a Car, Any Car" which aired on November 25, 2002. Arthur calls them with a question about the family car, which would have been hauled away by the local mechanic without their help. The answer turns out to be a baby rattle lodged in the car's tailpipe. In 2008, the brothers starred in their own PBS animated series Click and Clack's As the Wrench Turns, playing fictionalized versions of themselves. They also hosted an episode of the PBS show NOVA entitled "The Car of the Future". ^ Neary, Lynn (2014-11-03). "Tom Magliozzi, Popular Co-Host Of NPR's 'Car Talk,' Dies At 77". National Public Radio. ^ Tina Grant (1996). International directory of company histories. St. James Press. p. 233. ISBN 978-1-55862-341-5. ^ Bates (1999), MIT Tech Talk. ^ Magliozzi, Tom&Ray. "About Us". Good News Garage. In 1973, Tom and Ray ...started a do-it-yourself shop in Cambridge, Massachusetts called Hacker’s Haven. ^ "Good News Garage". Yelp. ^ Lumsden, Carolyn (July 11, 1986). "'Click and Clack': frick and frack gearheads". Daily Breeze. p. E19. ^ "Car Talk 1992". Peabody Awards. Retrieved 14 February 2009. ^ "The History of Car Talk". Car Talk. Retrieved 14 February 2009. ^ Bauder, David (8 June 2012). "'Car Talk' Ending: NPR Show's Duo Will Retire In October". Huffington Post. Associated Press. Retrieved 4 November 2014. 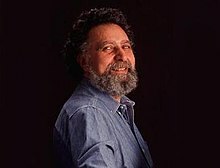 ^ NPR's 'Car Talk' co-host Tom Magliozzi dies at 77, Associated Press, Philip Marcelo, November 4, 2014. Retrieved 4 November 2014. ^ , Associated Press, June 8, 2012. Retrieved 4 November 2014. ^ "Transcript of the Magliozzis commencement address". Massachusetts Institute of Technology. Retrieved 12 December 2010. ^ "Pick a Car, Any Car". YouTube. ^ Jenson, Elizabeth (June 29, 2008). "Welcome to Toontown, Radio Guys". The New York Times. Retrieved February 6, 2014. ^ "Car of the Future". 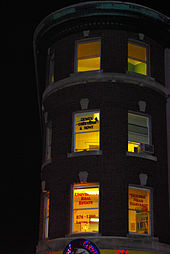 April 22, 2008. Retrieved January 19, 2015. Bates, Betsy (2 June 1999). "Magliozzis have local roots, cool cars and colorful résumés". MIT Tech Talk. 43 (32). Retrieved 14 February 2009. Magliozzi, Tom and Ray (2000). In Our Humble Opinion: Car Talk's Click and Clack Rant and Rave. New York: Perigee Books. ISBN 0-399-52600-5. This page was last edited on 10 April 2019, at 05:06 (UTC).